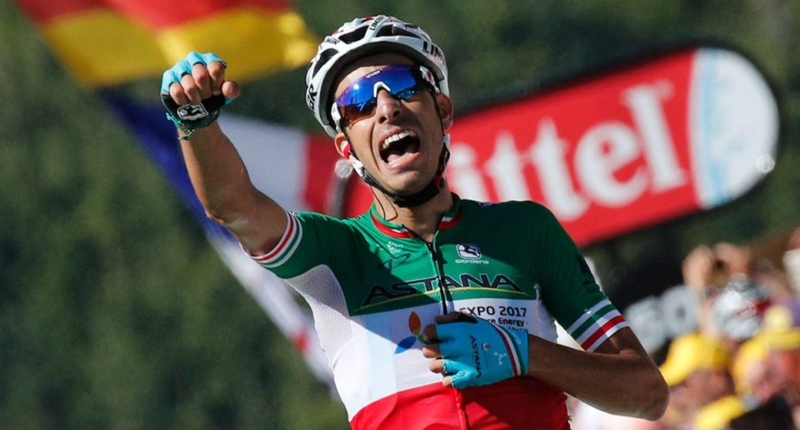 We recently interviewed Italian cyclist and former La Vuelta winner Fabio Aru and asked him all about his time in cycling, how it all began and what it meant to win his first Grand Tour. Interviewing Fabio, it was really interesting to find out how his own hero is none other than multiple Grand Tour winner and 2015 Giro winner and modern legend, Alberto Contador! Also, like other modern greats, Fabio seems to have honed his handling skills on mountain bikes and cyclocross; probably a useful tip for any aspiring youngsters over the winter months! When I was a child I used to ride my bike to commute. I owned a BMX and I rode around with friends, to go to the tennis court or to reach any places. Then as a teenager I had a mountain-bike with which I started racing. After that a cyclocross bike and just at the end a road model. Who introduced you to cycling as a kid – was it your family? I’ve always loved cycling, in particular I liked riding my bike to go here and there, but my first sport activities were tennis and football. Then I started riding mountain-bike with my father, but I can’t say there was someone who introduced me to cycling. I loved it, that’s all. Where did you ride as a child and who with? When I was around twelve I rode with my father nearby my town Villacidro in Sardinia. There were some nice paths on the mountains. Before, as a child I rode with friends in the streets of the town or alone to commute to everywhere. 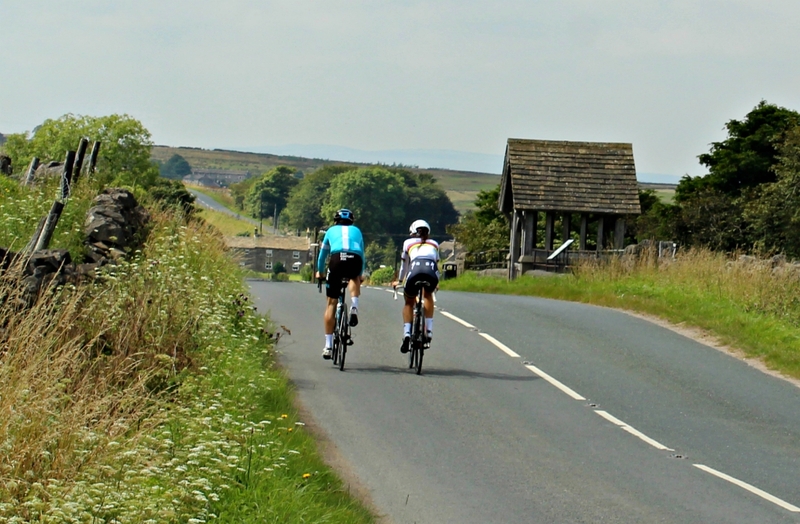 Where is your favourite place to cycle (for leisure ) and who with? I have no time to cycle for leisure. I ride always to train. When I’m on holiday I take a break from bicycle. How did you get into cycle racing? A sport director of an important U23 road cycling team noticed me when I was a mountain-biker but on that occasion with a selection of athletes of my region we were taking part to a road race. It was one of the first time that I rode with a road bicycle. He immediately thought that I had some good qualities and proposed me to reach his team and try this new challenge. How did you get your nickname (Little Angel) Cavaliere dei 4 mori? During the last Giro d’Italia some Italian tv journalists started calling me that way. I liked it and my fans club too. So it became my official nickname. 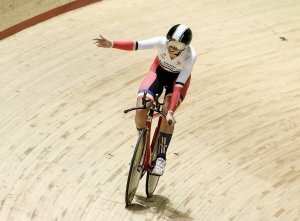 Who is your favourite cyclist and why? My favourite cyclist has always been Alberto Contador and even now, that I know him as a cyclist and as a man, I can appreciate even more his good qualities. Who inspires you and what’s the best bit of advice you can give to youngsters coming up through the cycling ranks? As I told before, Contador was my model. To children and youngster that would like racing I just can say to never give up and always work hard, when training and during everyday life, because you have to be careful to what you eat, drink, to relax and sleep well. In the end to live an athlete life and this is not easy when all your friends live in a completely different way. 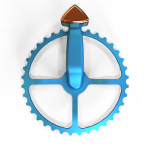 Not one in particular, but Grand Tours are my favourite kind of race. 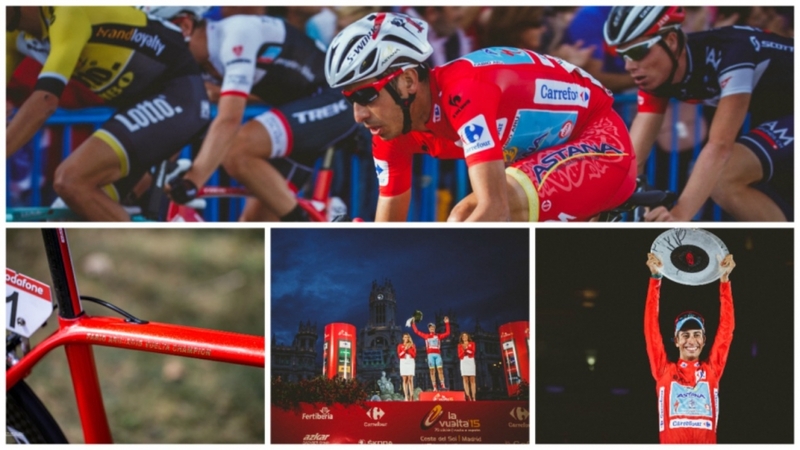 How did it feel winning your first Grand Tour at La Vuelta? It was something special. I trained a lot to take this race. It is the first Grand Tour victory and let’s hope not the only one, but it will be always the first I won so it will remain special for me.